Back in April, I read The Poison Within by Kasia Bacon and now there is a little sequel! A Late Bite to Eat (Inspector Skaer #1.5) is just a short ten pages long, but it still had me giggling. It’s told in Eryssa von Brenn’s POV and if you’ve read The Poison Within you know Eryssa is a Furia and she is a delight LOL. The story starts where The Poison Within ended – Eryssa is with Caylii, her partner, and since Caylii still is recovering from what happened Eryssa hasn’t left her side to feed. The poor peasant didn’t stand a chance, but at least Eryssa was kind to him. I loved this short little story and I really hope we’ll get more of Eryssa in the future because that girl makes me laugh. I’d like to know more about Furias and their role in this world…or perhaps not this world. 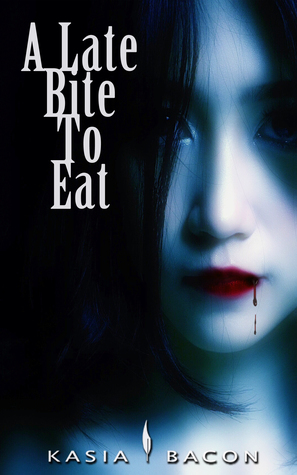 A Late Bite to Eat, a flash fiction written from Eryssa’s POV, takes place after the events described in The Poison Within. It will be offered to subscribers of The Order Newsletter on December 15th, 2017. It will also be added as a bonus read to the back matter of The Poison Within for new readers.